Is luck just fate, or can you change it? 1.) Lucky people maintain a relaxed attitude that is open and aware. 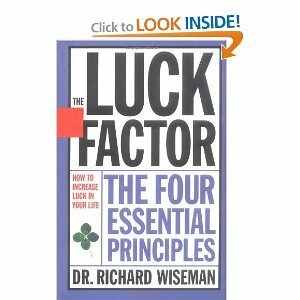 A study by psychologist Dr. Richard Wiseman surveyed a bunch of people to find out who considered themselves lucky or unlucky. Wiseman gave both the ‘lucky’ and the ‘unlucky’ people a newspaper and asked them to look through it and tell him how many photographs were inside. That’s it. Luck wasn’t on their minds, just some silly task.